The Burmese government must prioritize allocation of resources for awareness, age verification and disciplinary action to end the use of child soldiers, advocates say. Today’s release of children by the Myanmar Army underscores the government’s commitment to being delisted from the UN Secretary General’s Annual Report on Children and Armed Conflict. Currently, the Tatmadaw Kyi [Burma Army] is among the seven national armies listed for recruitment and use of children in the Annexes of the report. The “list of shame,” as it is colloquially referred to, also includes 50 armed groups which are known to use and recruit children across the world. As part of the Joint Action Plan (JAP) the Myanmar government signed with the United Nations in 2012, the Tatmadaw Kyi pledged to undertake a series of time-bound measures to release all children present in its ranks. It promised to raise national awareness on the issue of child soldiers and also vowed to reform age verification mechanisms, recruitment procedures and accountability mechanisms to ensure children are not recruited and used as soldiers in state forces. Some changes are visible: Since the adoption of the JAP, 553 children have been discharged from the army and reunited with their families. In 2013 the government launched a massive nation-wide awareness raising campaign with billboards and posters put up in 66 cities and radio and television programs routinely disseminating information on this issue. Families of victims are less fearful to complain to the International Labour Organization (ILO) and use the hotline number to transmit information on cases of alleged recruitment of under-18s to the UN Country Task Force on Monitoring and Reporting (UNCTFMR). The government maintains that pocket cards, which lay down clear instructions not to recruit under-18s, have been distributed within all battalions of the Tatmadaw Kyi and to some Border Guard Forces (BGFs). Military focal points in the 14 Regional Military Commands (RMCs) across the country have been trained to ensure that the terms of the JAP are fully understood by all commanding officers. A military directive was issued in June 2014 which stops battalions from recruiting directly and allows recruitment only through trained recruitment units. Since 2007, 312 perpetrators have been identified by the Myanmar government as being responsible for underage recruitment, including 48 officers. These are significant steps toward ending child recruitment and use. Why then, one may well ask, does underage recruitment and use by the Tatmadaw Kyi continue? Since 2013, a total of 723 cases of underage recruitment have been reported to the UNCTFMR, of which 474 either are still children or were under-18 at the time of the signing of the JAP, including 126 children allegedly recruited in 2013 and 2014. 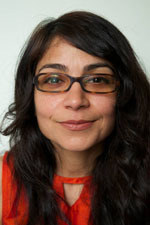 Charu Lata Hogg is the Asia program manager for Child Soldiers International. A 29-page report, “Under the radar: Ongoing recruitment and use of children by the Myanmar army,” released on Friday by the UK-based NGO Child Soldiers International (CSI), shows that military officers and civilian ‘brokers’ continue to use deliberate misrepresentation to entice new recruits, including children. Poor and uneducated boys continue to be frequently intimidated and coerced. A commonly deployed tactic is to offer a child a good job with a decent salary (as a driver, for instance), and lure them to the nearest recruitment centre or battalion. In 2014, cases of underage recruitment were mostly being reported to the UNCTFMR from the Yangon [Rangoon], Ayeyarwaddy [Irrawaddy] and Mandalay regions. CSI’s research finds that the practice of falsifying age documents, including National Registration Cards—now also called Citizenship Scrutiny Cards—and family lists, continues unchecked and no effective measures have been taken to establish accountability for this practice. An unofficial system of incentives to reward military recruiters and punishments for failure to meet recruitment targets still exists at the battalion level. Bonuses in cash or in kind are also known to be provided to recruiters for exceeding recruitment targets and, in some cases, serving soldiers who want to leave the army are told that they will only be discharged if they find new recruits. While some steps have been taken to strengthen recruitment procedures within the Myanmar army, effective mechanisms to monitor and oversee recruitment have not yet been established. In 2013, the Tatmadaw Kyi set up Scrutiny Boards at each of the 14 RMCs to review the files of recruits entering the military through mobile recruitment units and battalions. However, there is no public information available which shows that Scrutiny Boards have rejected potential recruits on the grounds of age. Lacking in operational independence, the Scrutiny Boards are unable to exercise genuine control over the recruitment process. The Myanmar military has taken some form of disciplinary action in cases of child recruitment brought to their attention. However, only a handful of prosecutions have been initiated against civilians, including brokers, who play an important role in luring children into recruitment. In addition, there are significant legal and political obstacles to holding military personnel criminally accountable for underage recruitment. There is a need to step up responses to ongoing underage recruitment. Ensuring that all children are registered at birth and possess an identity document that clearly lays out their age is a tangible way of providing protection to children against unlawful recruitment.Until safeguards within recruitment procedures are implemented in practice across the country at all levels and until effective age verification mechanisms are put in place and properly enforced, the situation will not significantly improve. Support by the international community to the Myanmar authorities to ensure that it strengthens recruitment procedures—implementing effective age verification measures that are monitored and hold violators accountable—is needed to bring in long-term prevention. Significant resources are required to achieve this objective and should be allocated as a matter of priority. Until that is achieved, children in Myanmar will continue to remain at risk of being recruited and used as soldiers. Charu Lata Hogg is the Asia Program Manager for Child Soldiers International, a London-based NGO working to end underage recruitment across the globe.